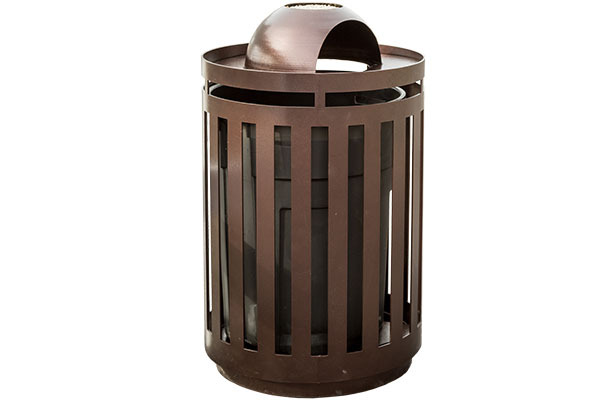 The Classic Dome Trash Receptacle features an arched top that is available with an ashtray option. 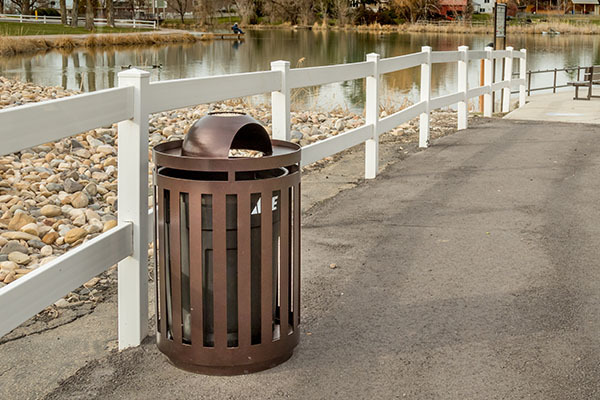 Each metal trash receptacle offers custom laser cut design options, powder coating finishes, and more. The powder coat protects the metal from rust and corrosion and other weathering conditions. To order, give us a call at (801) 414-1724 or click the link below. Choose a dome lid with or without an ashtray top. A durable top coat is applied to the trash receptacle. The powder coat is twice as thick as average paint and is resistant to chips and scratches. It is available in a variety of colors. 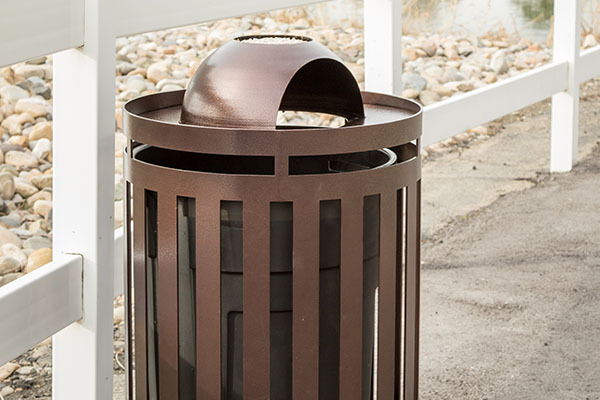 The trash receptacle is available with a Regular Dome Top or an Ashtray Dome Top to fit your city’s needs. We are capable of adding a custom logo to the trash receptacle.